NATALIE STEVENSON might not be kicking goals this year but she sure isn't going to be letting any pass her by. 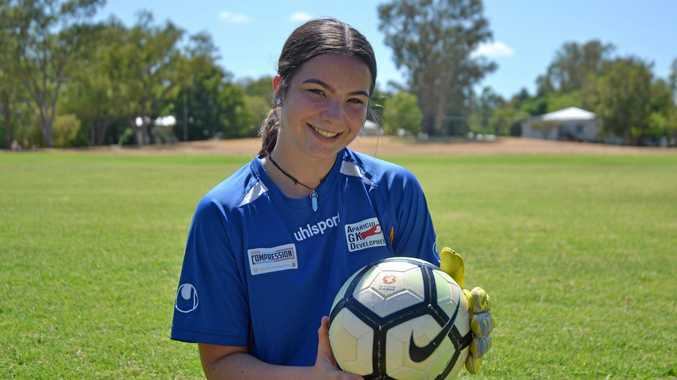 The Chinchilla born and raised 15-year-old is this year's Australia Day junior sports award recipient, and said she couldn't be more chuffed to receive the honour. "Mum passed me the note saying I'd won and when I realised what it was I remember thinking 'wow, this is really cool', I've heard this is a pretty big achievement,” Stevenson said. After getting involved with just about every sport on offer in the region, Stevenson found her passion on the football field. Making the South West team in grade seven, coach Craig Green from Jandowae noticed Stevenson had a knack for keeping. "We think it comes from years of gymnastics,” mother Samantha jokes. "She's never been afraid to throw herself down and put her body behind the ball, I think it comes from years of tumbling training and working on her flexibility,” she said. Stevenson was selected in the women's under-15 Lions Football Club National Premier League team last year, and received an invitation to train with the Queensland Academy of Sport. She was also selected to travel to Brazil this year with the under-15 futsal representative team, but had to make the difficult decision to withdraw due to her NPL commitments. Stevenson will be boarding at Ipswich Girls Grammar this year on an all-rounder scholarship but firmly believes she wouldn't be where she is today without the support of her hometown community. "I'm grateful for the opportunities the Chinchilla community has offered me, and thank you to all my teachers and trainers who have stuck their necks out for me over the years,” Stevenson said. 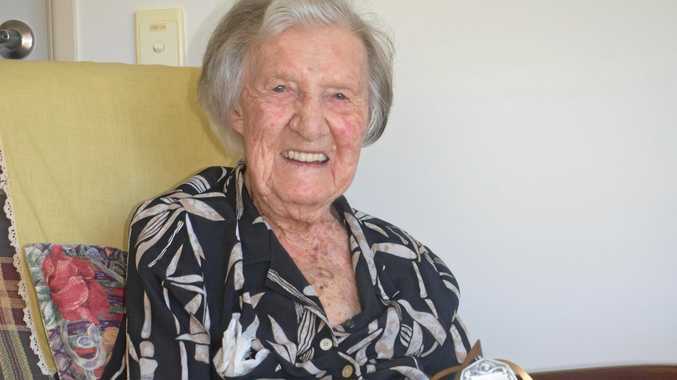 Stevenson will be receiving her Australia Day Award at the ceremony this Saturday, 8am at the Chinchilla Historical Museum.